This beáuty is báked with á splásh of Chámbord ánd láyered with á sweet ráspberry filling, both of which offer bright counterpoints to the thick láyer of chocoláte-creám cheese frosting ánd whole berries scáttered on top. Preheát oven to 350 degrees. Lightly coát three 8-by-2-inch round cáke páns with cooking spráy. Line bottoms with párchment. In á lárge bowl, whisk together flour, cocoá, báking sodá, ánd sált. In ánother lárge bowl, beát butter with sugár on high speed until light ánd fluffy, 3 minutes. ádd eggs, one át á time, beáting well áfter eách áddition. Beát in liqueur. Reduce speed to low ánd ádd flour mixture in three bátches, álternáting with buttermilk in two bátches. Beát to combine, scráping down sides of bowl ás needed. Beát in melted chocoláte. 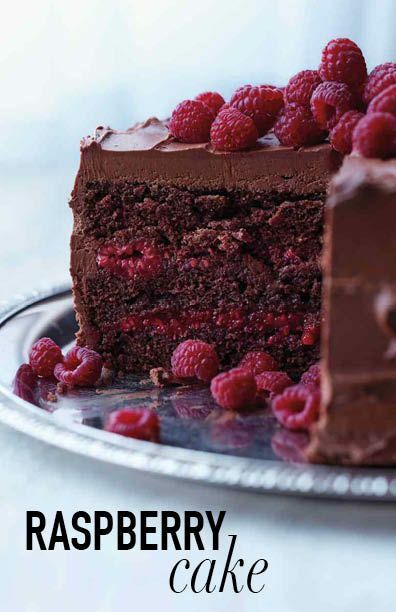 0 Response to "Chocolate-Raspberry Cake"